A highly passionate and motivated, UK based, energetic professional marketing director with commercial, online marketing and business development experience. With a career spanning...Read moreA highly passionate and motivated, UK based, energetic professional marketing director with commercial, online marketing and business development experience. 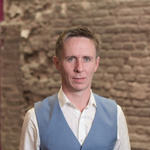 With a career spanning more than a decade delivering online marketing campaigns (specifically in affiliate) through development of successful online marketing strategies, creative business development tactics that have repeatedly over delivered in a range of markets within retail in particular, but also travel, finance and technology. A diverse skillset including supporting a range of clients with the development of their top level strategy, mentoring colleagues in the implementation and successful delivery of campaigns through to managing user journey experiences whilst maintaining focus on results, performance delivery, customer service and client’s bottom line profit.